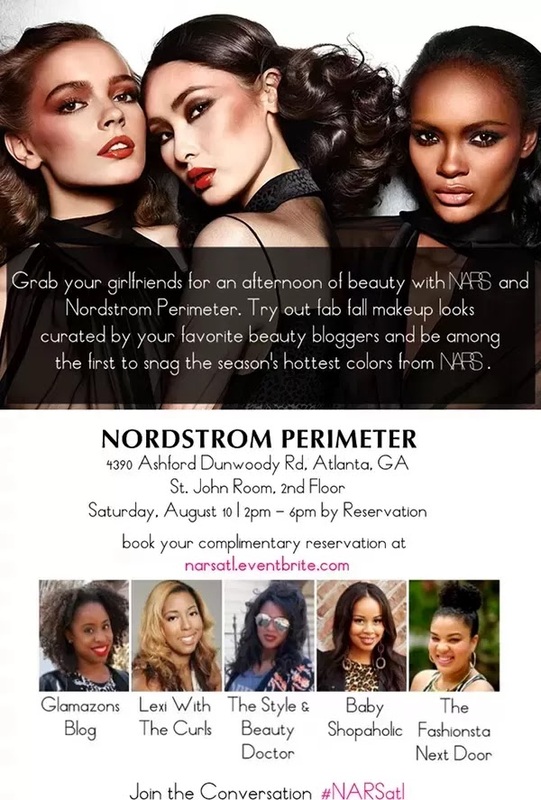 If you like cosmetics, fashions and good company and will be in the Atlanta, Georgia area I think you may want to try and make it out to this Saturday afternoon event. The event will take place Sat, August 10th at Nordstrom Perimeter and will feature some pretty Notable fashion writers and bloggers! Check out the flyer for all of the deets and I hope you Enjoy! !